When it comes to communicating that your new WordPress blog exists and is ready to be spotted by your future readers, SEO is a big topic. Needless to say that after publishing your blog, you should set up a presence on different social media channels, and engage with other bloggers in your niche. But Google and other search engines can be a big game changer in bringing traffic to your site and that’s why you should definitely invest in the SEO of your blog. This is what we want to teach you in this easy little SEO Guide for WordPress Blogs. 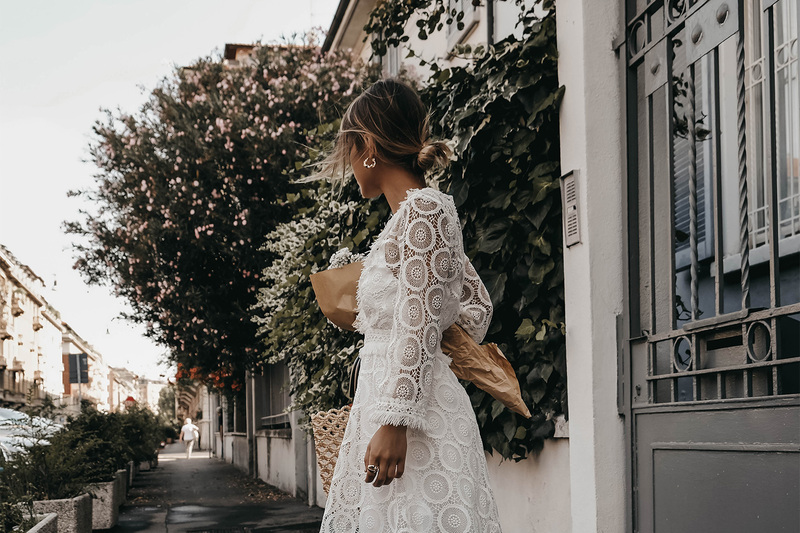 The fourth episode of our ‘How to start a fashion blog’ guide is all about tips and tricks to optimize your blog for ranking high in search results and getting found by your ideal reader. SEO is the abbreviation for search-engine optimization and is the key to your success on Google. It sums up all the different actions you take to make your WordPress site and blog posts rank high in search engine results and thus get found easily. Looking at my own lifestyle blog’s analytics, I can identify almost 70% of my first-time readers as a referral from a search engine (well, mostly Google). That’s the majority of people that find their way to my blog and it shows that SEO is a super important topic when starting a WordPress fashion or lifestyle blog. The search engine optimation of a website normally consists of two parts: On-Site and Off-Site SEO (also called On-Page and Off-Page SEO). Optimizing the On-Site SEO of your WordPress blog is something that you largely have control over. It includes optimizing different parts of your website (like your blog posts), so they can be found in search engines for specific keywords. Check the next paragraph to see different points you can tweak to boost your On-Site SEO. The other side is Off-Site SEO. These are factors that determine how popular your website is and how high your blog posts rank on Google. It is the part of your website’s SEO that you can’t influence because it mainly builds on backlins from other blogs and websites. The quantity, but also the link quality shows Google and other search engines how valuable and popular your content is among other sites in your targeted keyword niche. In the past many website owners tried to boost their page rank with paid links, which has resulted in penalties from Google and some of them were even banned completely from the index. Building backlinks and improving your Off-Site SEO isn’t easy, but you can help it with providing good and valuable content that people like to share. To sum it up, On-Page SEO determines what you rank for and Off-Page how high you are positioned in the search results. The good news is that you can do a lot to optimize your WordPress site’s On-Site SEO and make sure your blog posts and articles are getting found. Make sure that the title tag of your blog and the description reflect what your website is about and that you include relevant keywords. For our website this is for example WordPress, Theme Shop and Agency. Don’t do keyword stuffing, but make sure that your title and blog description makes your website topic clear at first glance. Navigate to Settings > General to change the site title and description there or use a SEO plugin (like described below) to set the meta tags there. Structuring your WordPress site and blog posts with headings (especially h1 tags) is not only important to make your content more readable to humans, but also for search engine crawlers that will check for heading tags to determine the important parts of your site. That’s why you should always put your most important keywords into h1 tags (which should be your blog’s title on the homepage and your article’s title on the blog post page). When adding images to your blog posts it’s super important that you add an alt text so search engines can understand what the images shows and for which keywords it is relevant (and it’s also important for accessability!). You can modify the alt text when you upload a new image. I personally also like to put keywords and a description what the image is about into the title of the image itself. Then I only copy the title and paste it into the Alt Text field. Search engines will also evaluate your post’s link and the link structure, so make sure the URL itself makes it clear what the post is about and features your most important keywords. If you want to know how to change the link structure for your posts, scroll down a bit and check our additional tip on how to change the permalink structure in WordPress. On aspect of On-Site SEO that is forgotten often times when putting keywords everywhere, is the internal linking of your blog or website. 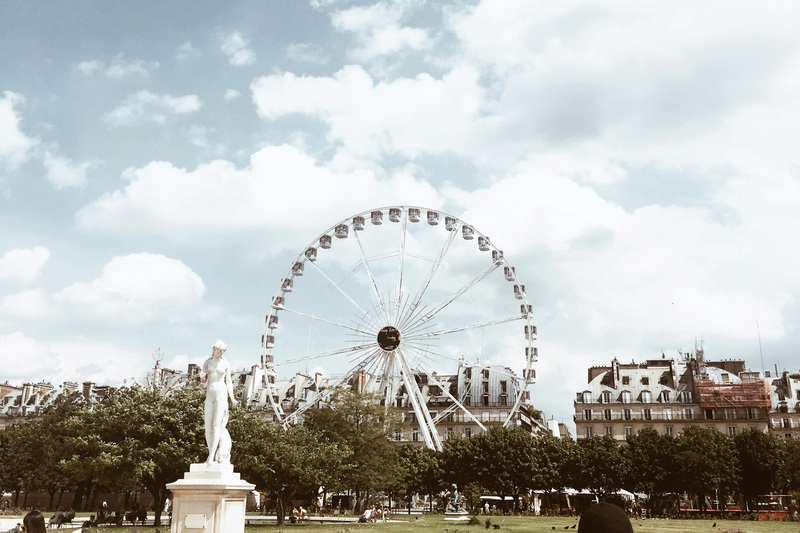 When you write a post, add two to three links to other relvant topics on your blog to build an internal network that search engines can understand easily. If you put external links into your blog posts, make sure to set them as no-follow to show search engines that they shouldn’t follow them when building the ranking for the linked site. You can do that with the easy Title and Nofollow For Links plugin. WordPress lets you categorize your posts with categories and tags. You should definitely use them to boost your SEO, because they will make it easier for crawlers to understand your website’s structure. Plus, a meaningful use of categories and tags makes your blog easier to navigate for your readers and can lower your bounce rate (which again is considered as a ranking factor by Google). Content Quality is one of the most important things for SEO. Always keep in mind that foremost you write your blog posts for humans and people that are searching for a solution for a problem. Don’t overstuff with keywords and make sure your posts provide a benefit for your readers. Google has ways to measure content quality and will show people that search for specific keywords only the best and most relevant results on the first pages. These are the most important things you should always consider when writing a blog post or generally optimizing your WordPress site for SEO. But there are some other things you can do with your WordPress blog to add an additional SEO boost. If you are just starting your blog and haven’t added any content, you should consider taking your site “off” from search engines for now. This way Google won’t index your half-baked blog that’s missing settings like the permalinks (see below) or relevant content – you know the “Hello World” standard blog post from WordPress? Probably not the best idea to have this indexed for your blog as a starter. To set your site to no-index first, navigate to Settings > Reading and check the box which says Discourage search engines from indexing this site. Important! Once you have created content and made all SEO settings, you have to uncheck the box to make sure Google can find and index your site and blog posts. Our recommendation for a SEO plugin (and the one we use on all our sites) is The SEO Framework, because it is a free, easy to use and lightweight alternative to the popular bigger plugins Yoast SEO and All in One SEO. Download it from the WordPress plugin repository (if you don’t know how to install a plugin, read this post about WordPress plugins), activate it and navigate to SEO in the dashboard menu to make the settings for your blog. If you want to audit your blog posts before publishing, we recommend downloading the free Focus extension. It will check your blog post’s keyword density in the parts most relevant for SEO (e.g. title, description, url) and lets you know how you can improve it before publishing. Another pretty nice functionality is that you can input up to three keywords and synonyms and check for all at once, as opposed to other plugins like Yoast which only let you check one main keyword. By default the WordPress permalinks will look something like this: https://munichparisstudio.com/?p=132. This is neither easy to understand for your readers (what is this link about, is it a blog post or another page?) and also not ideal for search engines that try to index your posts and pages. That’s why you should change your permalink structure to something more readable and SEO-friendly. Navigate to Settings > Permalinks and choose either Post name or build a Custom structure, but make sure that the post name which is optimized with your ideal keywords, is present in the url. You should consider removing your blog’s archive and search pages from Google’s index to prevent creating duplicate content. Duplicate content can result in lower search engine rankings or even punishments from Google. 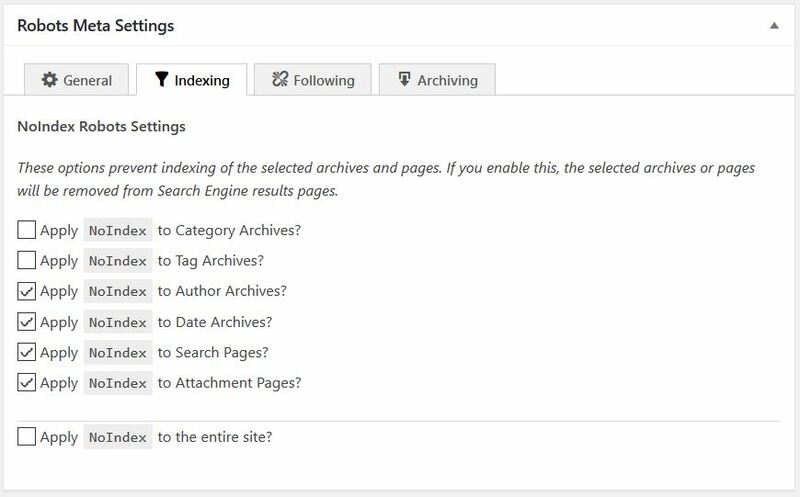 This is how you disable the indexing of archive and search pages in The SEO Framework plugin to add an extra boost to your site’s SEO: Navigate to the SEO Settings and scroll down to Robots Meta Settings. Click the Indexing tab and make sure that the last 4 checkboxes are ticked like in the screenshot below. To make sure you never forget optimizing your blog posts with the right keywords in all important parts, we have put together this infographic with a SEO checklist for you. 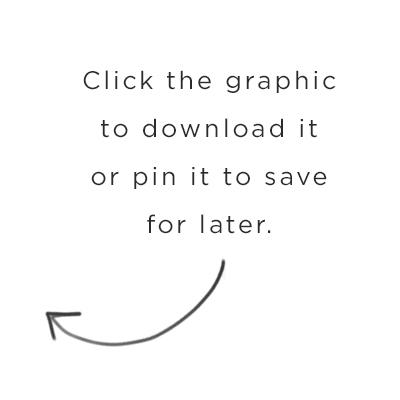 Download it or pin it and use it when you write and publish your next blog post. If you follow these steps, I’m sure you will see great results for you On-Site SEO in short time.